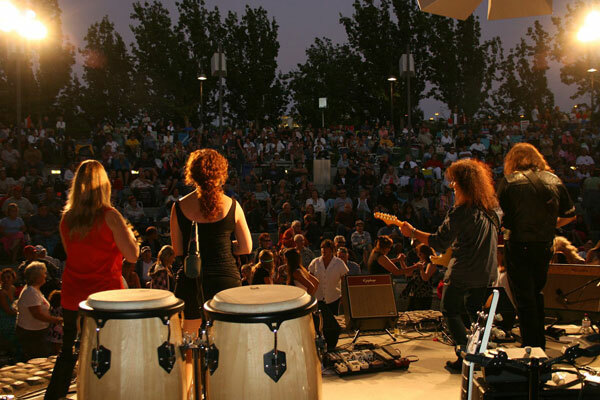 Summer is just around the corner, which means plenty of live music entertainment in Southern California’s wine country! 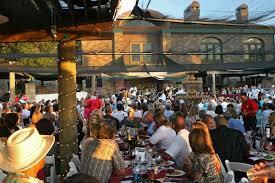 So many Temecula Valley wineries have beautiful outdoor concert venues. Wineries are kicking off their summer concert series now through September. Whether you love jazz, rock or blues paired with your wine, Temecula Valley Wine Country has you covered. Below is a short list of fabulous winery concerts and be sure to check out our event calendar, which is regularly updated throughout the summer! The Mercedes Moore Band is about to bring their sizzling, foot tapping, dance floor moving sound to Southern California. Led by the powerful, sultry and affecting voice of Mercedes Moore, this band will take any local venue by storm. Relax and enjoy live entertainment every weekend in Temecula Valley Wine Country. On June 8, listen to the beautiful sounds of Buzz Campbell at the popular Wilson Creek Winery venue. Join Falkner Winery for their free Spring/Summer Music and BBQ Series. Guests can purchase BBQ paired with the famous Luscious Lips Sangria. A veteran of the Southern California music scene, Jason Weber has been playing the saxophone for over 30 years. Don’t miss it! Enjoy the music of Al Jarreau & Vincent Ingala at the beautiful Thornton Winery. General admission seating is available in rows of concert-style seats, as well as a limited number of small tables for four on a first-come-first-served basis. Temecula Valley comes alive in the summer with awesome concerts, special happy hours, and fun wine-pairing dinners! Be sure to check back to this post throughout the month for added events and dates! Wine specials, appetizers and live music. Join South Coast Winery Resort & Spa “after hours” each Friday night in August when Wine Club Members and their guests enjoy tasty foods, award winning wines and live musical performances under the stars. There’s absolutely no place more romantic in Wine Country at night. Up to four people per member. Will be pouring their 2004, 2006, 2007 and 2009 Crowded along with paired appetizers served on each table. Experience amazing sunsets and live music while enjoying fabulous food and wine. Have a fantastic time in Temecula Wine Country!